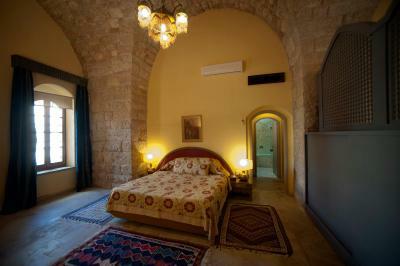 Lock in a great price for Mir Amin Palace – rated 8.5 by recent guests! Extraordinary, fabulous experience. 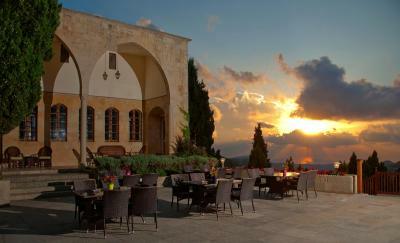 The views, food, staff, suites are exceptional. Would Definitely recommend to everybody. Beautiful grounds and location. The hotel was a very comfortable and nice stay. Everything was perfect, the staff, the room was so clean and the service from the staff was amazing, I asked them if I can do a late check out and they did their best to do for me a free late check out they didn’t bother me when I was late to check out I really enjoyed this place and I advice everyone to come here! 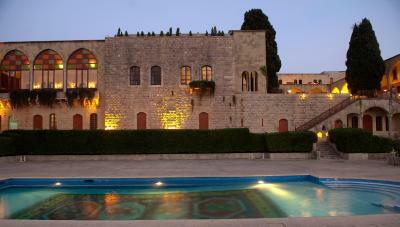 An old palace is an amazing place to stay! The pool and view are exceptional. The staff where kind and very helpful. The restaurant was delicious and the morning complimentary breakfast was more than we expected. 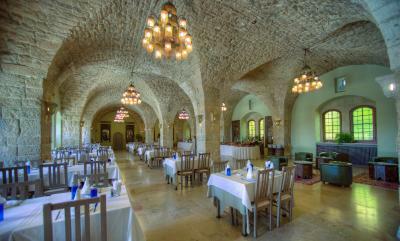 All authentic Lebanese cuisine :) Alaa and Nadine we most helpful. 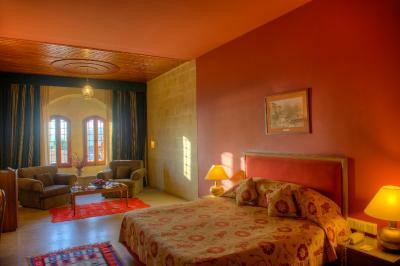 The room is very spacious and the decoration ane style are very nice. 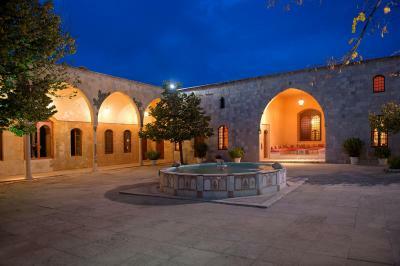 Everything was excellent, view, quietnes, cleanliness, service, staff, ambiance, location. 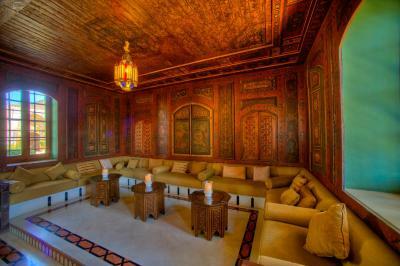 The location is superb, the cleanliness and the ambiance is amazing. 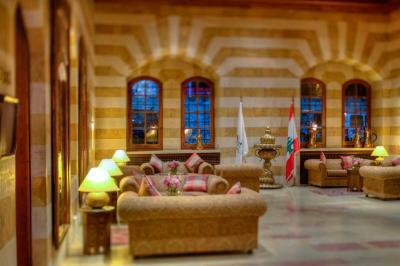 The palace is so authentic and reflects the Lebanese culture and history; You feel you have incarnated in a Lebanese princess from the 1800s. We loved the breakfast at the terrace, swimming in the pool. Food at the restaurant is good. Definitely must try. 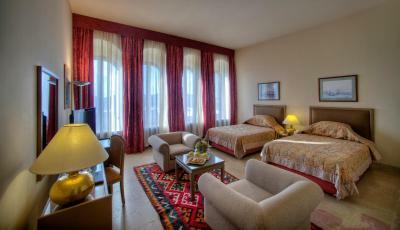 The staff at the hotel are very hospitable, nice, helpful and warm. I felt they are professional too which made me more relieved. They upgraded our room as well, that's a very nice gesture of them. 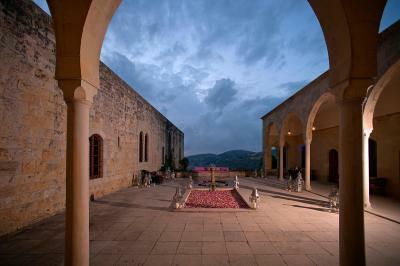 It's located among one of Lebanon's best scenery. 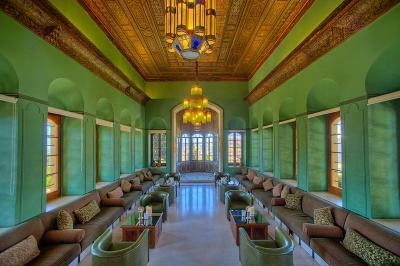 The palace itself is a gorgeous historical building, very well maintained. 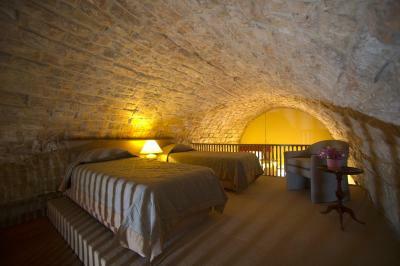 Comfortable room with excellent mattress for a good night's sleep. Beautiful view of the mountains. 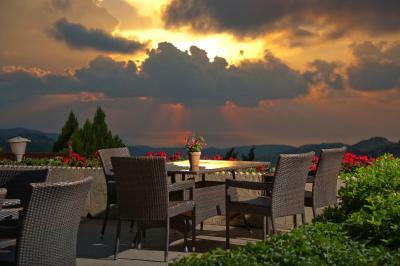 Exceptional staff in outdoor dining area. 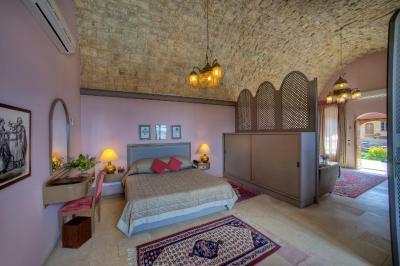 Mir Amin Palace This rating is a reflection of how the property compares to the industry standard when it comes to price, facilities and services available. It's based on a self-evaluation by the property. Use this rating to help choose your stay! 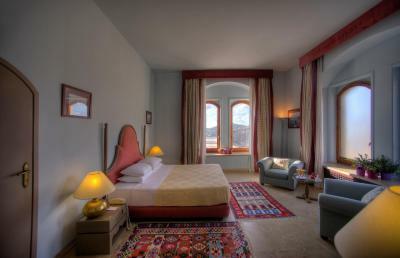 Mir Amin Palace’s spacious rooms and suites are decorated with antique beds and bright colors. 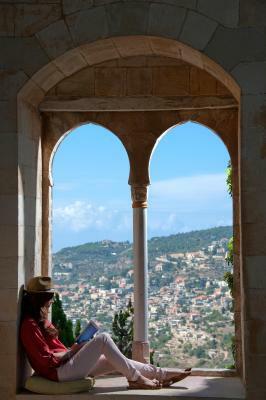 Some include a seating area and views of the Shouf Mountains. 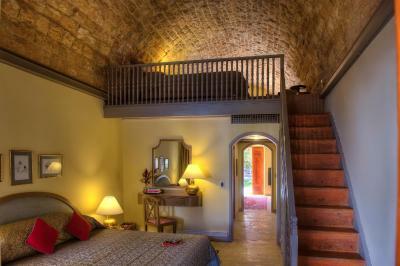 All come with a satellite TV, and slippers and bathrobes are in the private bathroom. 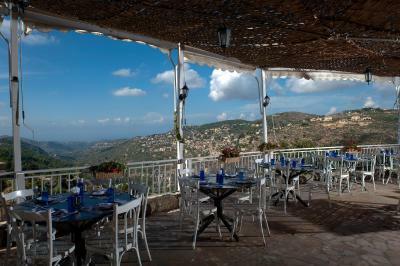 In the summer, Italian-inspired cuisine is served at the restaurant, while traditional Lebanese dishes are available in the winter. 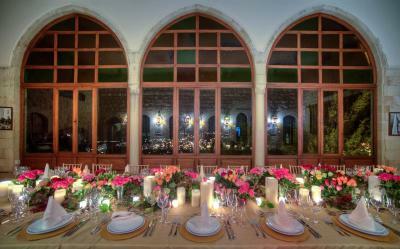 Guests can enjoy live music and light snacks on the terrace or drinks from the Piano bar. 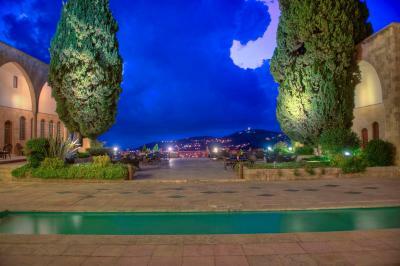 Its outdoor pool is surrounded by a mosaic terrace, and there is a courtyard with fountains. 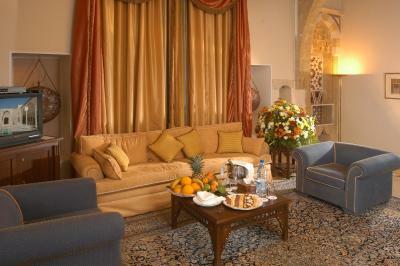 Mir Amin Palace has a games room, which includes a TV and a DVD player. 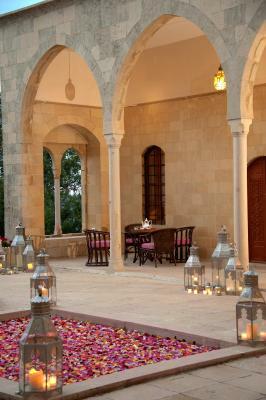 The 24-hour staff at Mir Armin Palace organize massages, various beauty treatments, and theater tickets. 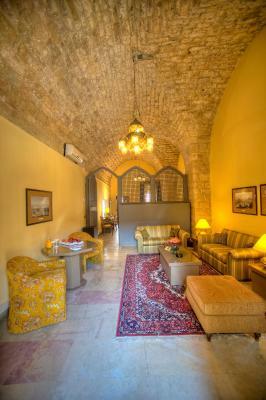 Luggage storage and car rentals are also available. 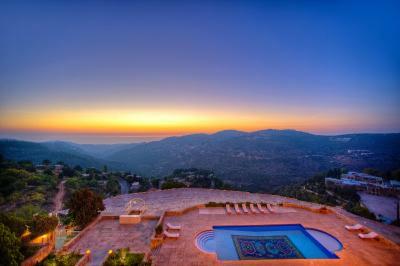 This property also has one of the top-rated locations in Beït ed Dîne! Guests are happier about it compared to other properties in the area. 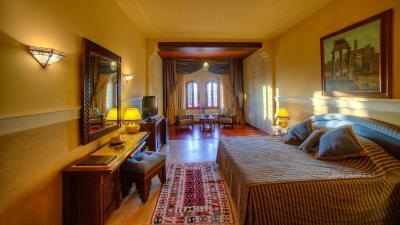 When would you like to stay at Mir Amin Palace? 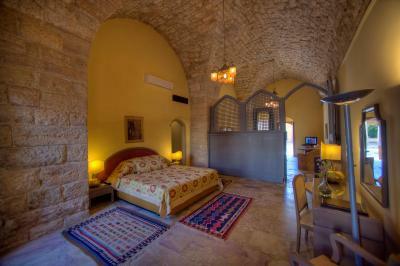 This bright and air-conditioned room has a TV and a mini-bar. 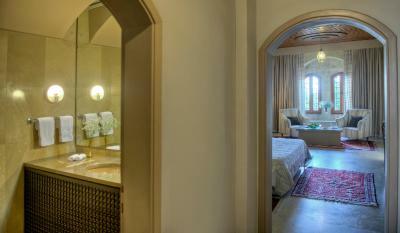 Its private bathroom comes with a bathrobe and slippers. 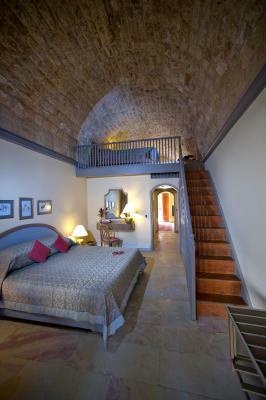 This suite has a bedroom with a large, antique double bed and a spacious seating area with a TV. 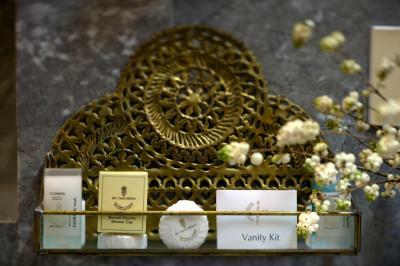 It comes with a mini-bar and a private bathroom stocked with bathrobes and toiletries. 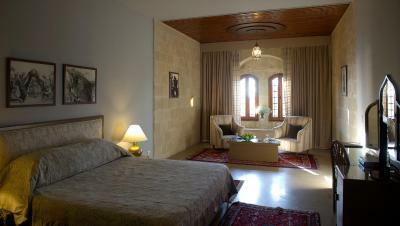 This room offers a spacious bedroom with a large, antique double bed. 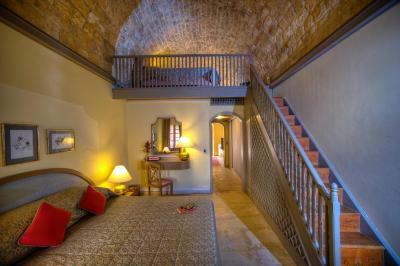 The mezzanine has 2 single beds and a seating area. There is a TV and a mini-bar, while bathrobes and slippers are in the private bathroom. 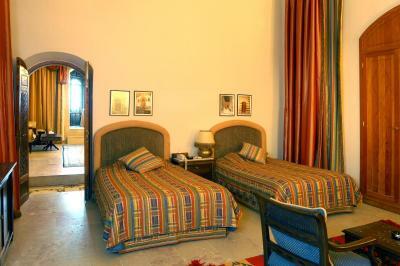 This spacious and air-conditioned room includes antique beds and a seating area with a TV and a mini-bar. 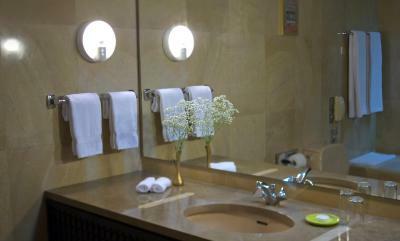 A bathrobe and slippers are in the private bathroom. 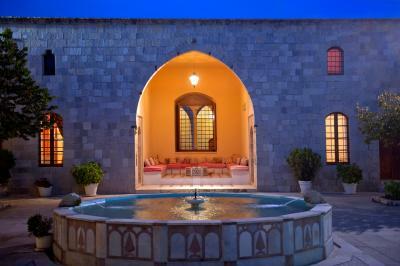 House Rules Mir Amin Palace takes special requests – add in the next step! Mir Amin Palace accepts these cards and reserves the right to temporarily hold an amount prior to arrival. Please note that additional charges apply for the use of the pool. little mistakes that were made with our food bills. Our room not been cleaned because of miss-communication. The food, the views, the location. The breakfast service was a bit slow and there was a delay. The room don't have tea coffee pouches and water kettle which is a norm in most hotels. Dining room was very cold. Internet availability is dreadful. Availability of local affordable taxis very poor. No hotel bar. breakfast was decent but little variation on offer in terms of menu. We were there in the low season, so limited services available. Room was spacious and had a nice view, but appliances were dated and not adequate for the price. Can´t prepare a coffee or tea in the room. Noisy from neighboring rooms and they shot a movie on the property which also caused a lot of motion even during the night. 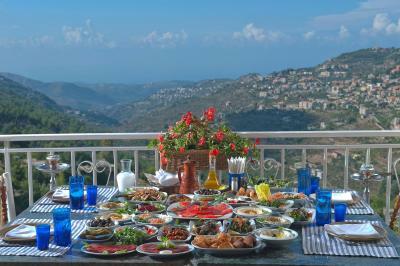 Lebanese breakfast was ok, but continental very basic and no variety. 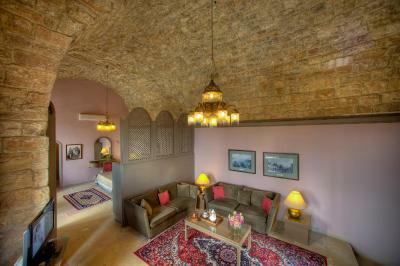 Beautiful property with a view of Beiteddine Palace and the mountains. Only one dining open and didn’t have much food choice or atmosphere felt like a school dining hall. Also rooms need more plug sockets in them. 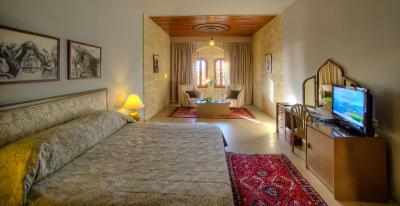 Beautiful rooms, staff were very friendly and stunning views. junior suite was overpriced. also it seemed that most of the hotels' facilities were closed. The breakfast. 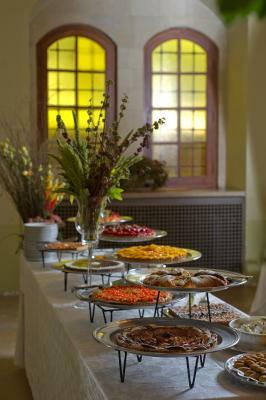 To have a breakfast buffet at such a historic place in a beautiful location/setting is criminal. Added to that the food on offer was average. Real disappointment. 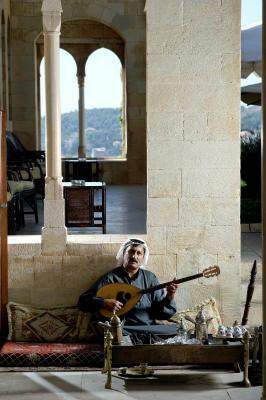 The building, the relaxed atmosphere and the musicians playing at dinner. Quite, clean and comfortable. Good food. There was a parking fee. Italian restaurant was closed but they didnt mention it till we asked at the restaurant for food. The rooms atmosphere and setting. Spectaular views in a beautiful hotel :) A real treat.